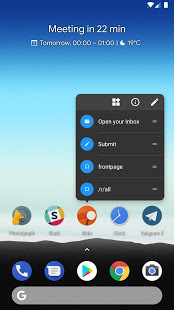 Top 10 Best Android Launcher in 2019 | welcome to the new fresh blog in this blog I want to share some best launcher for android in 2019, if you find the best launcher for your android smartphone we suggest some best and better launcher and that will be available on google play store. Android launcher is helped to customize your screen. Launchers are one of the most customizable parts of Android. Not only that, Android smartphones are inoperable without a launcher, which comprises your home screen and the catalog of all the apps available on your device. That’s why every device comes with a default launcher pre-installed. Top 10 Best Android Launcher. We use launchers for customizing our screen and some features of the phone with the help of android launchers. There are many launchers available that can replace your default launcher. third-party launchers offer an endless amount of customization for users to suit their needs.you will get more customization in another launcher. 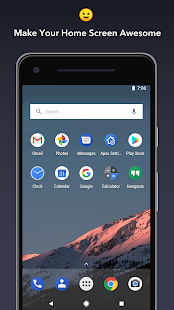 I will list some top 10 best android launcher that you can easily download through link or play store and customize your screen and make pretty good. With Microsoft Launcher (formerly known as Arrow Launcher), you can personalize your Android device to match your style with wallpapers, theme colors, icon packs and more. With a Microsoft account or work/school account, you can access your calendar, documents, and recent activities in your personalized feed. You can even open photos, docs and web pages on your Windows PC* to be productive across all your devices. Nova Launcher truly is one of the best Android launchers around on Google Play Store. It is a buttery smooth launcher app which I have been using for over three years now. It is fast, efficient and lightweight. 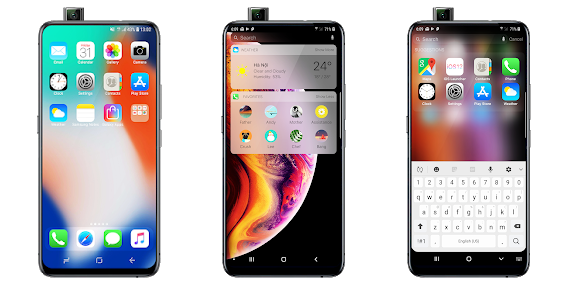 It supports dock customizations, notification badges, an option to show frequently used apps as a top row in the app drawer, folder and icon customizations, dozen of gestures and many others. 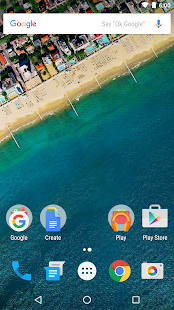 Google Now launcher is an in-house launcher app developed by Google itself. The Android app is targeted for non-pixel device users who don’t like their pre-installed launcher, and instead, prefer a truer Android experience. 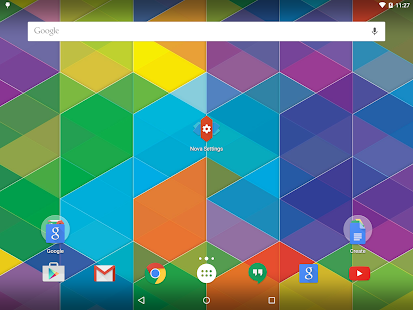 Unlike other contenders, the popular Android launcher adds Google Now cards just by swiping right on the home screen. Also, the Google search bar design can be customized, right from the home screen itself. 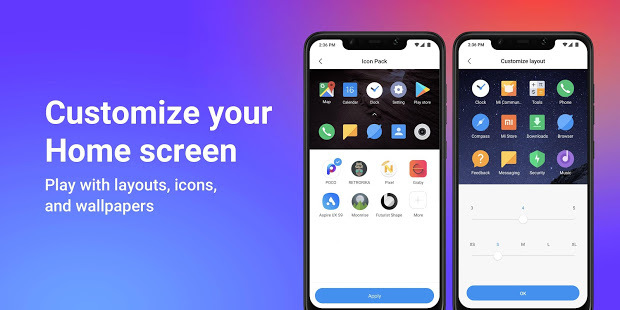 POCO Launcher is a full-featured customizable launcher for Android phones. It’s beautifully designed, super fast and secure. And super lightweight as well. Evie launcher is designed for performance and is one of the fastest Android launchers. 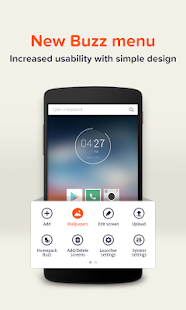 Many users who have switched to this launcher swears by its smoothness. Its Universal Search feature lets you search within your apps from one place. It has a wide range of home screen shortcuts and customizations. Moreover, you can customize your app drawer and folder grid. One of the reasons why Evie is counted in top Android launchers for 2019 is because of the fact it lets you choose from different search engines. “Buzz Launcher” is a highly customizable launcher that enables you to apply shared Homescreens to your own smartphone. 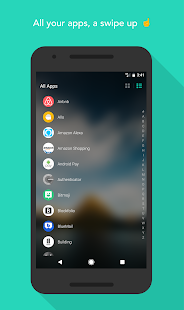 Buzz Launcher is an ad-free custom launcher that has more than 1000,000+ free themes (the largest number of free themes among launchers)! Freely download, apply, customize, share, and even create Homescreens! (Available from Android 4.0.3+). Apex launcher is a visually stunning launcher app with thousands of themes and icon packs that you can download from Play Store. It is a lightweight launcher for Android that optimized for both, smartphones and Tablets, which you won’t find in all of them.You can add up to 9 customizable home screens and hide apps in your app drawer that you don’t need. The launcher sorts apps in the app drawer according to the title, installation date or how frequently you use them. Smart Launcher is back and has been completely renewed! Smart Launcher is the innovative launcher that makes your smartphone or tablet faster and easier to use. 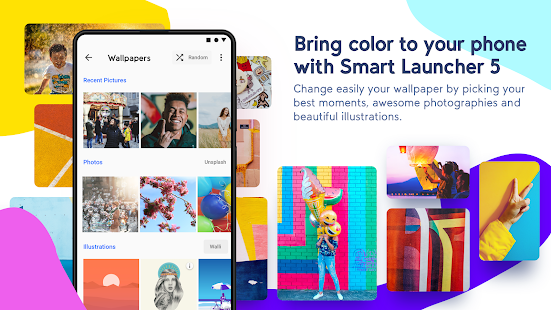 Smart Launcher 5 is another lightweight and fast Android launcher app for 2019 that is developed, keeping users in mind. The app drawer consists of a sidebar that divides the apps according to a category. Rootless launcher app is an open-source project to get all Pixel launcher features on any Android device. If you want to get Android Pie launcher features, this one is a must try. While the launcher isn’t customizable like other launchers in this best Android launcher list, the app includes most of the features found on any Google Pixel device.